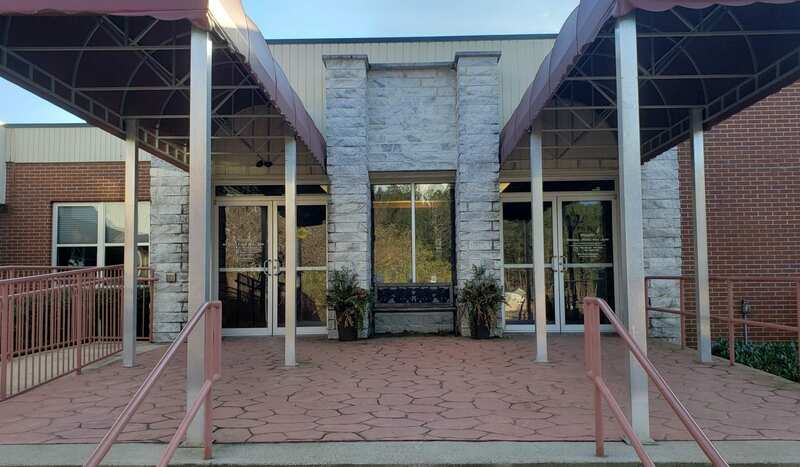 JASPER, Ga. – During the Board of Commissioners meeting on Thursday, April 18, 2019 the board heard from members of the Salvation Army Camp located on Old Grandview Road in favor of closing the road for the safety of the children, as well as members of the community who are opposed to the closure. Those in favor of the closure cite that closing off the road would make the camp much safer for the children who cross the road to get from one side of the property to the other. Camp Director of Camp Grandview. According to the camp director present, they’ve been having trouble with people speeding on the road for quite some time now, and there’s also a terrible blind spot on the road, making it difficult to see who’s approaching. There’s also a problem with people who shouldn’t be on the camp property gaining access because of the road. The closure wouldn’t shut down the road indefinitely. Members of Camp Grandview say that they are simply wanting to place electronic gates on either side, making it possible for those who use the road to come and go in the event of weather-related closures of other roads utilized as a bypass, as well as allowing those who use the road for activities such as walking their dogs to continue doing so, as there are currently no plants for any sort of walls or barriers aside from the gates. Community Member against the closure of Old Grandview. There were many opposed to the closure of the road, however. A big concern was how difficult it would be for those who use the road regularly to do so in the event of storm damage causing closure to other roads in the area. There could also be potential issues with delivery drivers, as well as those using a GPS to navigate the area. Having painted crosswalks, moving traffic signs further away from the crossing area, implementing speed bumps, and having more sheriff presence in the area were all proposed solutions to the problems at hand. Those living in the area also simply do not want to have to travel further to get to where they’re going, especially when they’re paying taxes that help keep the road maintained. Members of Camp Grandview state that the children are always supervised, but that the crosswalk from one side of the property to the other was paved over by the county. A point made was also that people simply disregarding signs meant to slow vehicles down. With little law enforcement presence in the area, especially during the Summer months, both sides seem to agree that more presence would be a huge step forward. It was stated during the meeting that the camp does have security guards, speed limit signs, etc. But that there have been several near-misses regarding the safety of the children. Community members against the closure of Grandview Road. No decisions have been made yet. It’s been said that there would be someone available to open and close the gate at all times, making it possible for those who live in the area to utilize the area as needed. Members of the camp have also considered having the closure only during the Summer months, as this is the busiest time of the year for the camp. The next meeting isn’t currently scheduled, but, this issue will continue in future meetings. These meetings are open to the public, and take place at Suite 168 of the Administrative Office Building located at 1266 East Church Street. 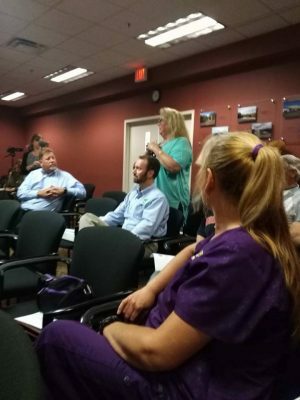 The debate on the closure of Old Grandview can be seen from the beginning of the video until (28:49), at which time the board recognizes employees of the county. « Previous Article BoC Recognizes Jim Harvey, Christy Fisher, and Shane Callahan! BoC Recognizes Jim Harvey, Christy Fisher, and Shane Callahan! 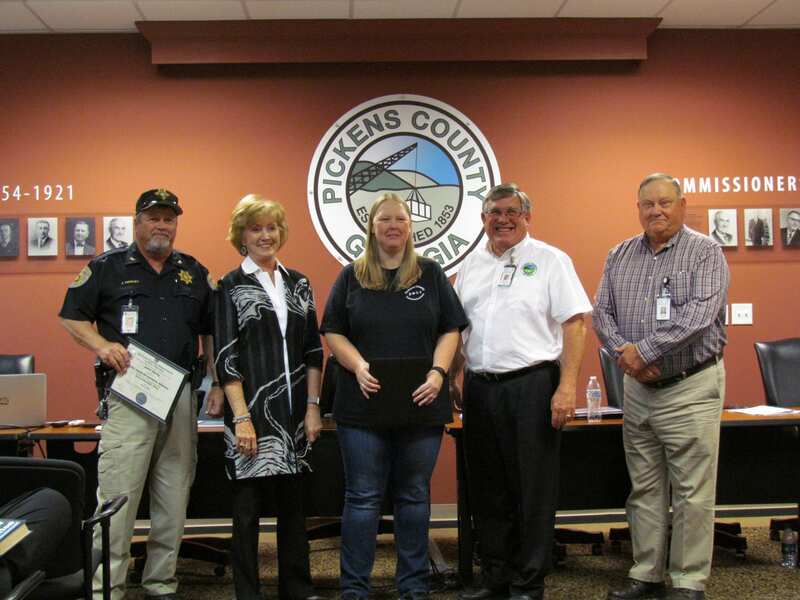 JASPER, Ga. – During the Board of Commissioners meeting on Thursday, April 18, 2019 several employees of the county received recognition for their services. Jim Harvey and Christy Fisher received awards for service to the county! (Harvey is on the left, Fisher is in the middle). Jim Harvey received an award for 10 years of service as the county Marshall, while Christy Fisher received an award for 20 years of service with Pickens 911 services. 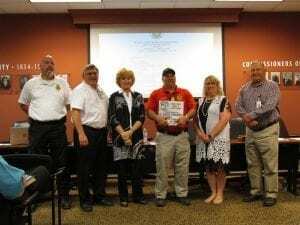 Shane Callahan, Life Safety Coordinator for the school system program, received an award as Pickens County Fire Marshall, though he also received his badge during the meeting. This badge allows him to conduct fire safety inspections, conduct fire scene investigations, and prepare and submit reports to the state, among other duties. The awards ceremony portion of the meeting may be viewed from (29:25) until (33:45) in the video below! Shane Callahan, Pickens County Fire Marshal. Congratulations from Fetch Your News to all who were recognized during this meeting, and thank you for your service to the county! 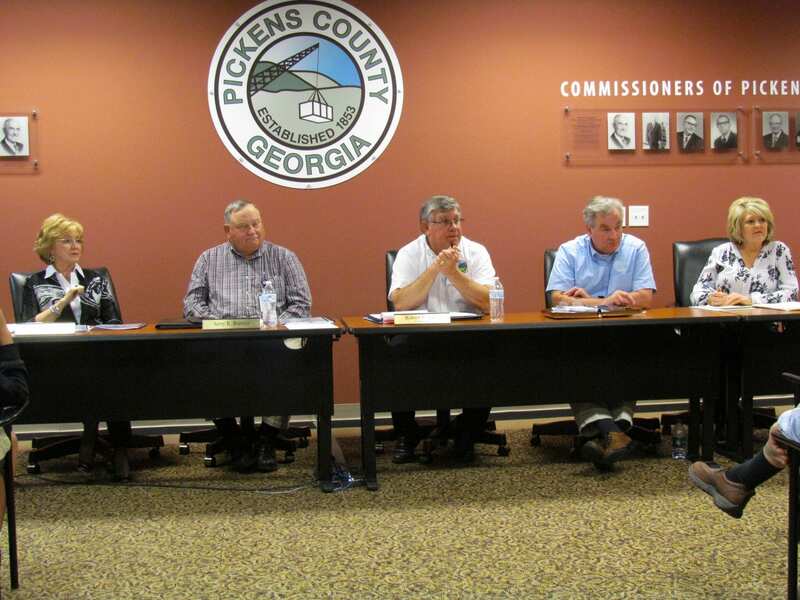 JASPER, Ga. – The Pickens County Board of Commissioners saw a work session and immediate subsequent called meeting to finalize TAN Documents and bids for the county’s 2018 Tax Anticipation Note (TAN). Having sent requests to five banks, the county received responses from two, Community Bank of Pickens and United Community Bank. The interest rates on the two bids saw Community Bank with 2.15 percent and United Community Bank at 3.36 percent. Being a work session, the board had to leave its work session and officially open a called meeting in order to field a motion to accept Community Bank’s 2.15 percent TAN and a motion to approve Pickens County Board of Commissioners Chairman Rob Jones to execute the documents. Additionally, the board was presented with a $10,000 check from the Wildcat Community as a reimbursement for their work on the Wildcat Community Fire Station. With a major ISO rating drop from 10 to five with the facility, the addition has proven more than effective. The station has constant need for water as it has responded to 191 incidents with six of those being major structure fires (four in Pickens County) since its opening in 2009. This is part of the support for which the community is thanking the county, helping provide a tank for 45,000 gallons of water, which is half of the total 90,000 gallons now available in the area. 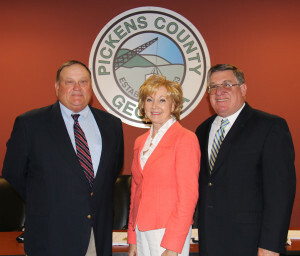 The community offers its thanks to the Pickens BOC for its leadership and recognition of need for the area. 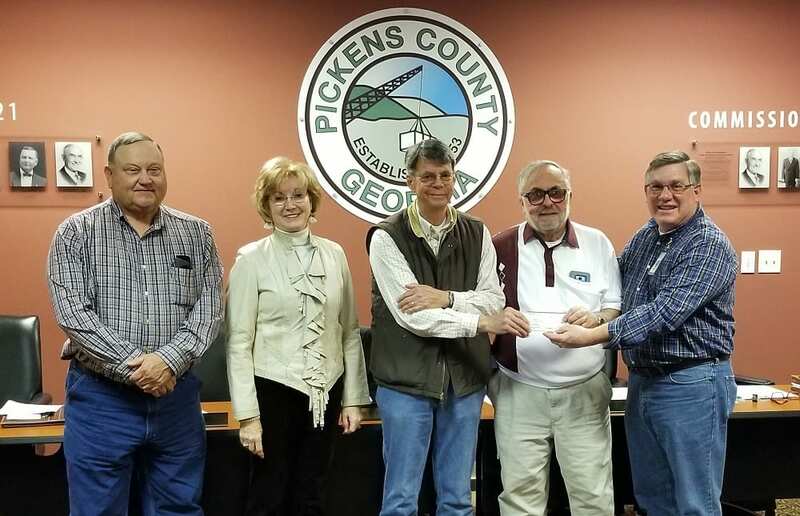 The community stretches across Pickens and Dawson counties and has received support from both counties. They continued raising funds for the original and a replacement fire engine better suited for the winding roads on the mountain. The community has raised over $100,000 in support of fire services for the station and its need. That fund raising is what allowed them to provide the “reimbursement” to the county. 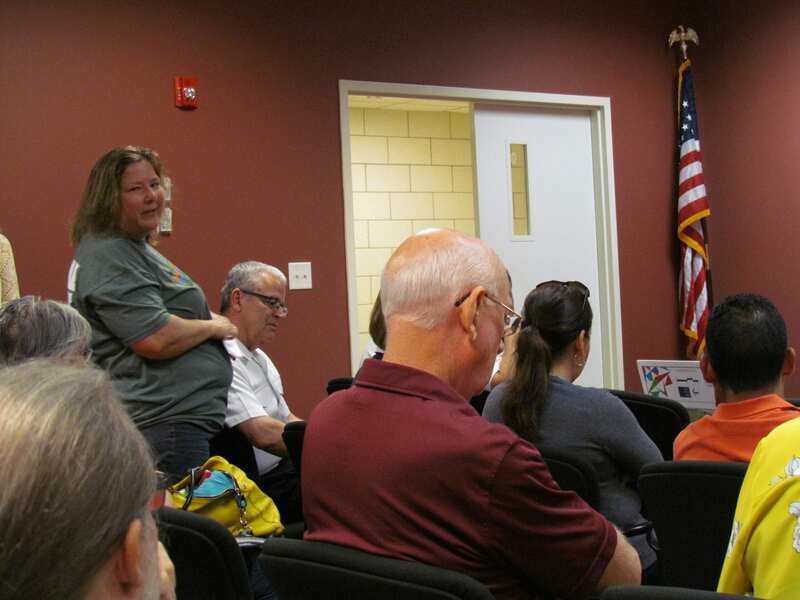 JASPER, GA – Protect Pickens Pets and supporters filled the room at this month’s commissioner meeting. The group made plans to bring their concerns and requests to the board about the conditions at the animal shelter coming together after the firing of former shelter employee Judy Moody. Before the meeting adjourned Commissioner Jones made the announcement that anyone with questions or comments could speak one at a time. Hands went up in the air one by one to speak on the situation of the shelter and Moody. I am concerned the animals are not being took care of. There is 11% left on the budget that could go towards the shelter. Why is the money not being spent? Feces are in cages and there are empty bowls. When you question the staff they say they are overwhelmed and understaffed. Who is in charge of hiring? Do they have a background? Sanitation procedures need to be in place. It’s great to have volunteers, but that’s not enough. We need a better staff. The shelter conditions are bad. There is a networking to running a shelter. We can’t leave things how we are. We need a company that could deal with the dogs that some fear to help them. Chihuahuas bite more than pitbulls! You’re out of your league with us people. We need to make a committee with rules and regulations. 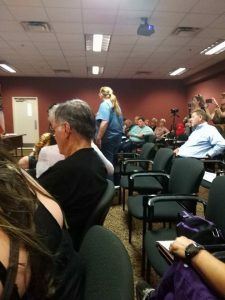 The members of the board were silent throughout most of the comments and this bothered supporters who came to hear an answer. I have been to the shelter and been pleased with it. Legally we can’t speak about an employee. I would be happy to go to the shelter and look around. Commenters mentioned Denny has been the only one to come to the shelter. I think it went really good and I believe some of the commenters have great ideas such as creating a board or committee for the shelter. I have had the shelter inspected by the Department of Agriculture and we received an A. 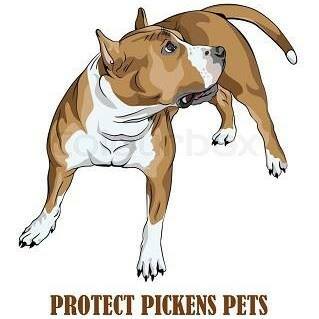 Protect Pickens Pets will be having a protest Monday, July 24 at 11:00 A.M. in the Burger King parking lot. They encourage all supporters to come out to the protest. Sadly we attended the Pickens County Commissioners meeting last night to witness the painstaking process (sarcasm) of a new Pickens County Tax Assessor being selected. 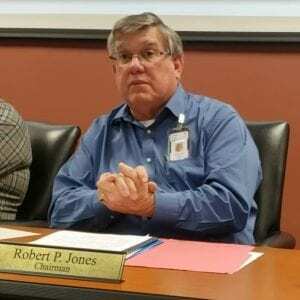 The commissioners discussed how this new candidate owned a Pickens County business with his father and the fact that a commissioner knew who he was. We learned that this new candidate just happened to be the son of the former Pickens County Tax Assessor who was stepping down from the position. What was never discussed by the commissioners was this new candidate’s education level, experience, resume, his qualifications, or any other candidates that may have applied for this same position. Now the person approved last night to be your new Pickens County Tax Assessor may very well be qualified. But this would be a simple roll of the dice as our fine commissioners certainly did not put forth any effort to guarantee this. 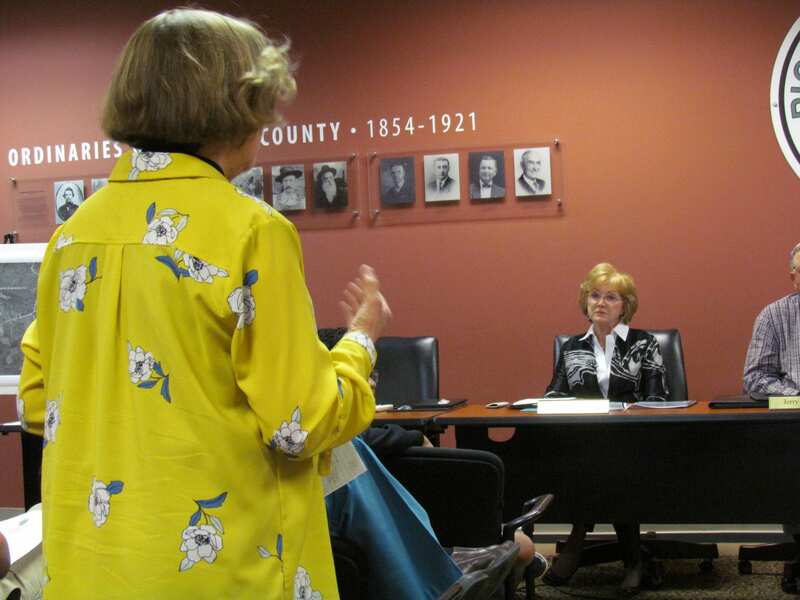 Is it too much to ask that a person appointed by our Pickens County Commissioners to decide how deep to reach into your pocket be competent to do the job? How many other Pickens county officials are deciding the daily direction of the county and our lives with their only qualification being a Good Old Boy Certification of Approval? 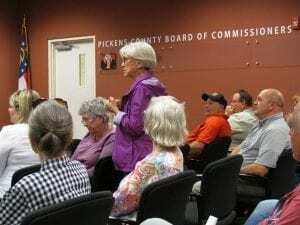 Is it any wonder that the Pickens County Animal Shelter Directors have all been unqualified and completely inexperienced? FYN will follow this story as it progresses, or read “Animal Shelter Employee Fired” and “Animal Shelter Situation Escalates”. 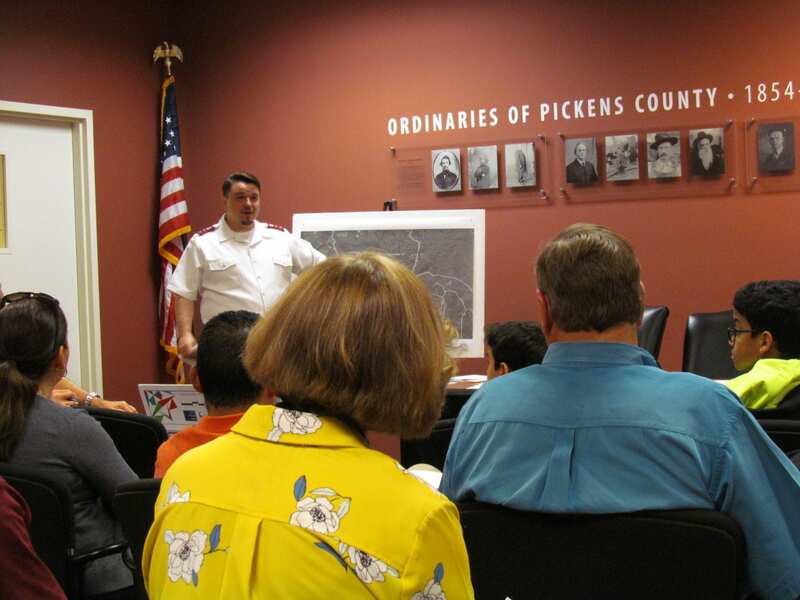 Jasper, GA – The Board of Commissioners were excited to announce the approval of the new fire station in Pickens County off of Carlan Road. The county will be purchasing two acres for $13,500 per acre. Board Member Jerry Barnes states this is an ideal location. Members approved the signing of the credit card resolution. This states that elected officials who have a credit card through the county are responsible for their own credit card accounts.This will hopefully prevent any unforeseen problems for the county. The Board of Commissioners currently have two cards, the Sheriff’s Office has three cards, and the Magistrate Court has one card. The Good Samaritan Clinic Construction contract was also signed to begin construction for an additional building at the clinic. This will allow for more space and care at the Good Samaritan. Cooper and Co. are moving forward with construction of the project. Under old business the board signed the Capital Lease for new sheriff’s office vehicles. This will allow the purchase of ten more patrol vehicles. Our county SPLOST dollars will cover the expense. The board discussed the approval of the Gilmer Water Agreement, allowing our two counties to connect water lines for purchasing or selling water to each other. « Previous Article Short Takes - Symbolism, The Key to Hate? Next Article » FetchYourNews.com wishes everyone a very Merry Christmas!